On this page you will find details about ferry routes to, and ports in Holland. Here at Leisure Direction we aim to make it easy for you to compare ferry companies, times and prices for ferries to and from Holland in one quick search. Holland is one of the most popular destination in Europe. Relax alongside the canals of Amsterdam or wonder among the flat expanses of fields and flowers out in the countryside, there are so many reasons to visit the Netherlands. 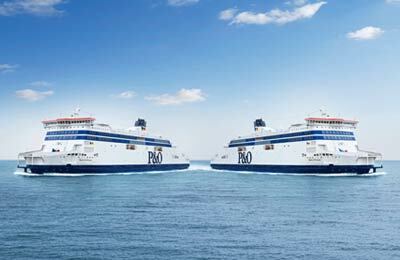 Ferry operator Stena Line sails between Harwich and Hook of Holland, while P&O Ferries connects the ports of Hull and Rotterdam Europoort. DFDS offer a reliable ferry service between Newcastle and Amsterdam Ijmuiden. Compare Holland ferry prices, check availability and book ferries with instant confirmation or search other alternative ferry operators from other ports to Holland. With Leisure Direction you can search for Holland ferry deals using our booking engine and you will have plenty of time to change your search details, find the best times and dates for your requirements and check that the details of your journey are correct before you make a payment. In our Results Page we also offer alternative routes so you can see all available options and choose the best ferry deal for your needs.